Since 1991 the Society has sponsored the “Rahner Papers” in a special issue of Philosophy and Theology: Marquette University Journal. For information about how to submit an essay for publication, see the style sheet. Ann R. Riggs, 331-332, Rahner Papers Editor’s Page. Ann R. Riggs, 333-335, Rahner Papers Editor’s Page. Ann R. Riggs, 405-407, Rahner Papers Editor’s Page. Larry Chapp, 291-305, The Primal Experience of Being in the Thought of Hans Urs von Balthasar: A Response to Theodore Kepes, Jr.
Ann R. Riggs, 341-343, Rahner Papers Editor’s Page. Andreas R. Batlogg, 347-354, Karl Rahner’s Sämtliche Werke: A New Revised and Edited Collection of His Writings; A Major Project of Lasting Significance? Ann R. Riggs, 355-357, Rahner Papers Editor’s Page. Ann R. Riggs, 401-402, Rahner Papers Editor’s Page. Ann R. Riggs, 303-306, Rahner Papers Editor’s Page. Jeffrey Bloechl, 199-202, Editor’s Introduction. Joseph S. O’Leary, 203-216, Questioning the Essence of Christianity. Bruce Ellis Benson, 217-228, The “Thinking-After” of Metanoia: on Breton’s The Word and the Cross. Paul Ricoeur, 229-238, Logos, Mythos, Stauros. Jean Greisch, 239-254, Ontology, Onto-Mythology, and the Imaginary-Nothing. Philippe Capelle, 255-268, Philosophy and Mysticism: Toward a Typology of their Relation. Catherine Cornille, 283-297, Stanislas Breton on Christian Uniqueness: On Unicité et monothéisme. Jacquelyn Porter, 299-314, Revelation, Scripture, and the Word of God: On Breton’s Ecriture et Révélation. Stanislas Breton, 315-327, The Desert. Stanislas Breton, 321-327, The Throwable: An Essay in Exegesis. 329-330, Major Works of Stanislas Breton. Marguerite Deslauriers, 3-23, The Virtue of God in Aristotle. Coleen P. Zoller, 25-44, Determined but Free: Aquinas’s Compatibilist Theory of Freedom. Joris Geldhof, 45-72, The Bible in the Later Thought of F. W. J. Schelling. David B. Burress, C.S.C., 73-76, Radical Orthodoxy: An Appreciation. Anthony J. Godzieba, 77-88, The Fear of Time and the Joys of Contingency. John Montag, S.J., 89-100, Radical Orthodoxy and Christian Philosophy. Philip Rossi, S.J., 101-111, The Metaphysics of the Sublime: Old Wine, New Wineskin? James B. South, 113-114, Editor’s Page. Daniel T. Pekarske, Abstracts of Karl Rahner’s Theological Investigations 1-23. Conrad T. Gromada, 425-436, How Would Karl Rahner Respond to “Dominus Iesus”? Benedict M. Ashley, O.P. Fundamental Option and/or Commitment to Ultimate End. Timothy E. O’Connell. The Question of Grundentscheidung. Jean Porter. Moral Language and the Language of Grace: The Fundamental Option and the Virtue of Charity. Brian Linnane. Categorical and Transcendental Experience in Rahner’s Theology: Implications for Ethics. Timothy P. Muldoon. Germain Grisez on Karl Rahner’s Theory of Fundamental Option. David Coffey. Rahner’s Theology of Fundamental Option. Jean Porter. Response to Brian Linnane and David Coffey. Crowly, Paul, S.J. Rahner’s Christian Pessimism: The Problem of Perplexity. 151-76. Kelly, David F. Karl Rahner and Genetic Engineering: The Use of Theological Principles in Moral Analysis. 177-200. Kelly, Geffrey B. ‘Unconscious Christianity’ and the ‘Anonymous Christian’ in the Theology of Dietrich Bonhoeffer and Karl Rahner. 117-49. Krieg, Robert A. A Fortieth-Anniversary Reappraisal of ‘Chalcedon: End or Beginning?’. 77-116. Leijssen, Lambert. Rahner’s Contribution to the Renewal of Sacramentology. 201-22. Michalski, Melvin. Karl Rahner Society Bulletin, No. 4. 237-43. Doud, Robert E. Matter and God in Rahner and Whitehead. 63-82. Ebert, Howard. 1993. Immutability of God: Metaphysical Inconsistency or Essential Grounding for Human Transcendence. 41-62. Fields, Stephen. 1993. Blondel’s L’Action (1893) and Neo-Thomism’s Metaphysics of Symbol. 25-40. Guarino, Thomas G. 1993. Rahner, Popper and Kuhn: A Note on Some Critical Parallels in Science and Theology. 83-90. Michalski, Melvin. 1993. 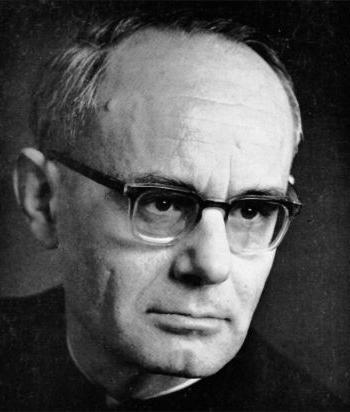 Karl Rahner Society Newsletter. 91-98. Nilson, Jon. 1993. The Unity of the Churches: Actual Possibility or Eschatological Actuality. 3-24. DiNoia, Joseph A. Nature, Grace, and Experience: Karl Rahner’s Theology of Human Transformation. 115-26. Maher, Mary V. Rahner on the Human Experience of God: Idealist Tautology or Christian Theology? 127-64. Michalski, Melvin. 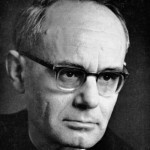 Karl Rahner Society Newsletter. 226-28. Sachs, John R. Transcendental Method in Theology and the Normativity of Human Experience. 213-25. Tallon, Andrew. The Experience of Grace in Relation to Rahner’s Philosophy of the Heart. 165-83. Thompson, William. Word and Spirit, Hermeneutics and Transcendental Method: Exploring Their Connection in Karl Rahner. 185-212. Masson, Robert, Andy Tallon, and Ann Riggs. Annual Update of Bibliography of Rahner Secondary Literature: 1992. 229-43. Buckley, James J. Adjudicating Conflicting Christologies. 117-35.